Stunningly beautiful, this 5' boxwood spiral artificial topiary tree with pot indoor/outdoor will never need a drop of water or pruning. 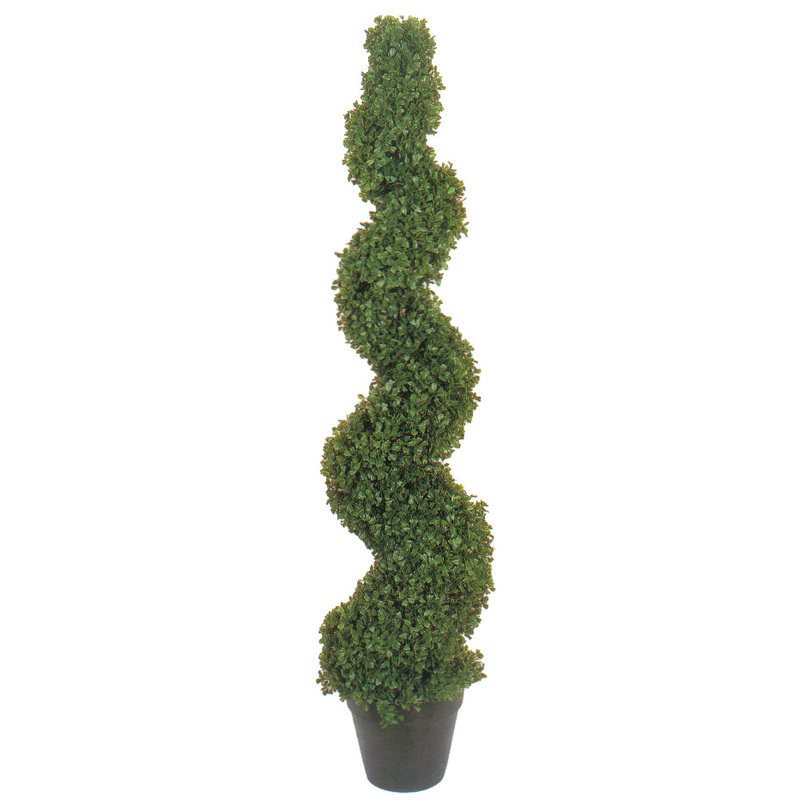 Crafted with quality and detail in mind this stunning artificial topiary will brighten up any space. Perfect for your home living room, indoor entryway, or even your outdoor covered patio. This faux topiary will look so real you'll swear that is resembles a real plant! This authentic styled fake topiary is sure to please and just one of our many artificial topiaries online. And... You'll get to cherish it for a lifetime!